REDS was contracted in 2011 by the Conservation Farming Unit (CFU) Zambia to carry out Conservation Agriculture (CA) activities in Uganda under the Conservation Agriculture Regional Programme (CARP) funded by the Ministry of Foreign Affairs of the Royal Norwegian Government. REDS was tasked with implementing CARP activities in 10 pilot districts of Uganda namely: Pallisa, Kween, Dokolo, Lira, Apac, Kyankwanzi, Mityana, Mubende, Kyenjojo, and Kasese. REDS trained over 80,000 farmers of which over 40,000 fully adopted CA, with average maize yield of 4 tons per hectare, 1.6 tons for legumes and farmer incomes increased by 30%. 27,322 farmers practice Hoe minimum tillage on 11,055 hectares; 8,074 farmers practice Animal Draught power (ADP) minimum tillage with an acreage of 7,104 hectares and 30 individual farmers with 46 hectares under mechanized minimum tillage. 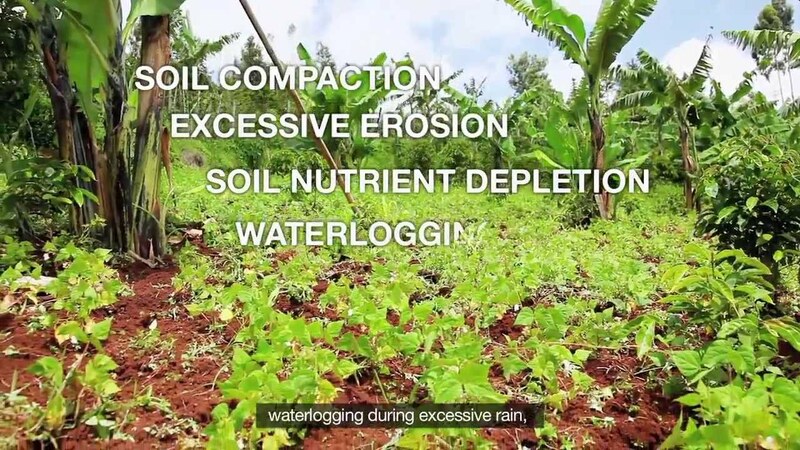 77% farmer adopters do not burn crop residue reducing on carbon emissions and soil erosion; 32% farmer adopters practice crop rotation with legumes combating soil nutrients deficiency; 41% of the farmers have integrated leguminous trees on their farm land. REDS took a step further and taught CF in primary and secondary schools. A total of 44 of schools have tried and tested CF, now the pupils are able to have lunch at school and are ambassadors of the technologies in their homes where their parents have adopted the practices. Jobs have been created amongst the youth who have become In-Community Service providers for timely and professional on-farm services to farmers on a commercial basis in minimum tillage, fertilizer application and safe & effective use of herbicides. REDS has realized a total number of 265 teams of 5 members each, busy with service provision. REDS is now an active member on the National Climate Smart Agriculture Task Force (NCSATF) and is fully involved with the various stakeholders for formulation of the Country Climate Smart Agriculture Programme and the FAO work plan to strength the National Task Force. REDS with NCSATF trained the government extension staff and Sustainable Land Management project district coordinators in CSA technologies & practices and a total of 545 were trained. In addition, REDS has collaborated with NCSATF to exhibit the CSA technologies at the National Agricultural Show in Jinja for the last 3 years. To cap it all REDS held field days for the sole purpose of having an all-encompassing awareness campaign to target as many farmers, stakeholders and policy makers as possible. This attracted 63,000 participants over the last 4 years including MAAIF Senior staff, District Chairpersons, District Councillors, Resident District Commissioners, District Secretaries for Production and Marketing, and District Council Members, Sub-county government extension staff, NGO representatives, agro-input companies and the media. As a result of this intervention REDS has witnessed CA being adopted in various districts beyond their scope, some of which are Mpigi, Rakai, Nakasongola, Namutumba, Bugiri, Iganga, Kamuli, Isingiro and Namayingo. REDS took great strides in creating policy dialogue for CA to be instituted as a proven technology for food security and climate change adaptation. REDS engaged policy makers of the Ugandan Parliamentarians’ Forum on Food Security, Population and Development (UPFFSP&D) and facilitated a study tour for them to Zambia to enhance understanding of CF principles and practices. The delegation of 8 Members of Parliament interacted with Zambian farmers and farmer groups and discussed various issues ranging from land preparation, tillage, basin management, seasonal calendar, crop spacing, crop varieties and choice, post-harvest handling to marketing and pricing. They also visited and drew lessons from input dealers, suppliers of tractors and tractor services and some leaders on policy issues. On their return they expressed their conviction that Conservation Farming is vital in boosting agriculture productivity and averting effects of climate change and pledged to popularize CF as a priority technology to boost Uganda’s agricultural sector. 2 Members of Parliament have gone ahead to support CF activities in the districts of Mityana and Mubende. REDS collaborated with Uganda Prison Services for promotion of CF mechanized minimum tillage and started with Ibuga Prison farm in Kasese, CA acreage at this farm now stands at 160 hectares. Working with the prisons department over the last 4 years has prompted the prison services to procure their own MT rippers and replicate the CF technologies in Rwimi, Kiburara, Isimba, Patiko, Abim and Namalu prison farms with REDS on hand to provide technical training and backstopping. This has set a very good precedent for the prisons to have a reliable source of food for the inmates.